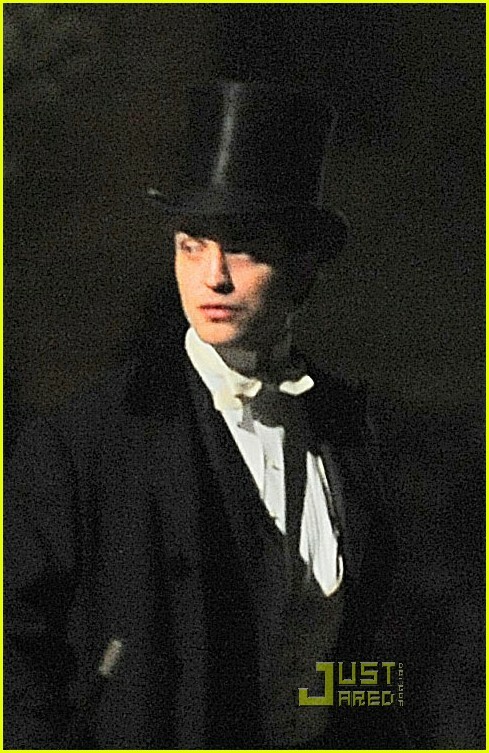 9 Responses to "Robert Pattinson looking dashing while filming Bel Ami 4.1.10"
I truly believe that Rob was created to play this role. He looks SO handsome in character!! Not just any man can pull this off but Rob does. Beautifully I must say. Thanks for the pix. I’ll tell ya, #RobAmi is looking F-I-N-E !!!! All dressed up with everywhere to go!! Is there a release date for this movie yet? I loved the book and the script was even better. Can’t wait to see it! Rob has so much presence that he could single handedly put all other actors out of business. I can’t picture any one else playing Georged Du Roy.